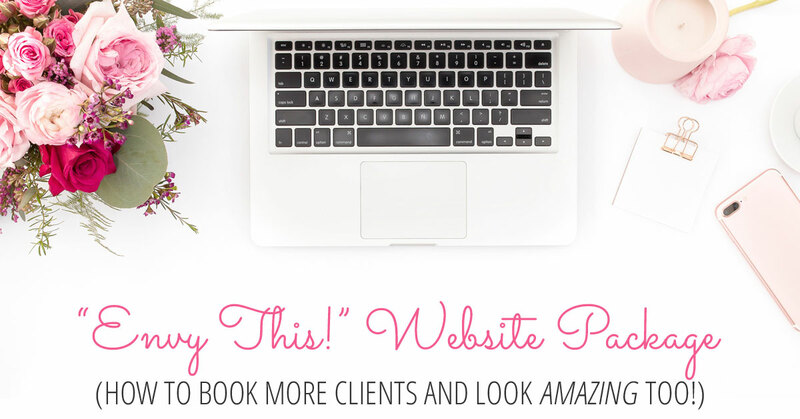 I’m so excited to introduce you to my new website package, “Envy This!” – and also explain how your website can bring you more clients (and more moolah!). I’ve heard from so many of you that you want more than just a beautiful website… you want it to help your business by getting you more clients. But you’re not quite sure what you need in order to accomplish that. And that’s exactly why I created my “Envy This! Website Package”. 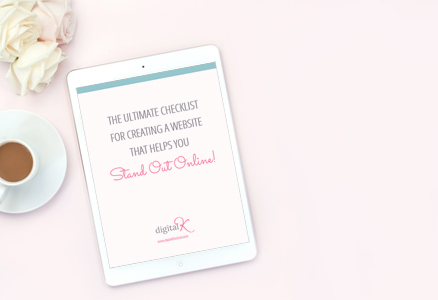 It’s a 6-week web design package that gives you a drool-worthy website that makes you stand out online… and get more email subscribers, clients and sales! I’ve taken the guesswork out of what you need with your new website – and wrapped it all up into one package for you (in pretty packaging, of course). Here’s what’s included – and why! 1-hour Strategy/Planning session (Skype or phone call) – We can go over any thing you’re stuck on with the questionnaire. And we can clarify any goals or features of your website – so we’re both on the same page and ready to go by your project start date. Custom-designed WordPress website that matches your logo and brand styles (includes 2 rounds of design revisions). Let’s face it – you need your website to look g-o-o-d! There is so much competition online that you need to stand out – and look professional too. When we’re done, you’ll be proudly sharing your website with EVERYONE, including that business crush that you always compare yourself to. No more website shame for you! Mobile-responsive design – so your website looks (and functions!) great on computers, phones and tablets. A mobile-friendly website helps with search engine rankings too! Up to 15 web pages and/or blog posts – including adding your content and images to the pages. Each page will be setup for you so your text and images are laid out on the page in a way that not only looks good; but also is strategically placed on the page to guide your viewers to where you want them to go next. Setup of one newsletter opt-in offer on your website. Encourage new email subscribers to grow your list of future clients who can’t wait to work with you. Basic SEO (on-page search engine optimization) – to help you get found in search results in Google (and other search engines) – and get more traffic to your website. Website Style Guide – Use this to create consistent designs on your social media accounts, printed items and more. Having consistent branding helps people remember your brand. 2 weeks of support and minor updates after your website goes live. When you first launch your new website, you’re going to be so excited about it that you’re going to tell everyone to go see it. But it’s like that shiny new car that you’re afraid is going to get scratched. Breathe a sigh of relief – I’ve got your back. I offer 2 weeks of minor website updates and support after your website goes live. Custom Website User Manual – created especially for your website! There’s nothing generic in here. It includes step-by-step instructions on how to update your website content, including screenshots from your website! Use this yourself — or hand it over to your assistant or VA when you want to make updates to your website. 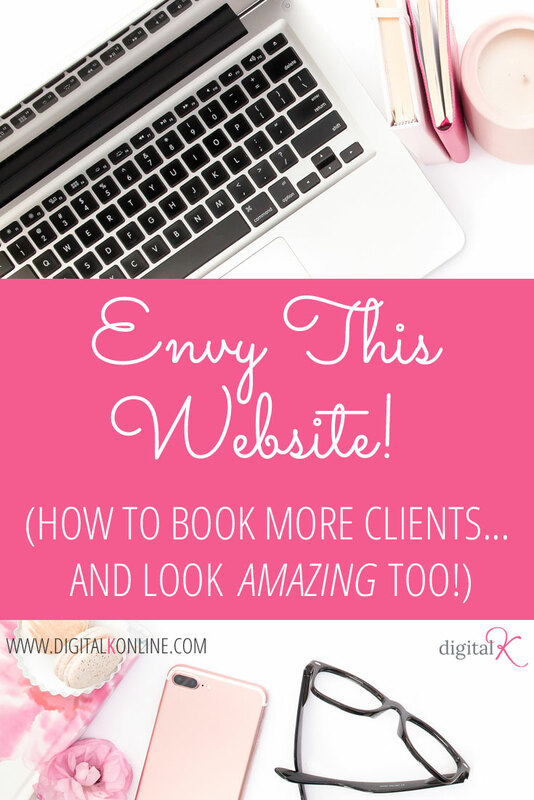 No more website shame or website envy for you! and get more email subscribers, clients and sales!